Minimalist. A very popular design in our line. Close up of the "sun + moon" table lamp. A glowing brass ring on one side and brass crescent moon on opposite end. Completely unique. Designed and hand made in 2010 by Art Donovan. 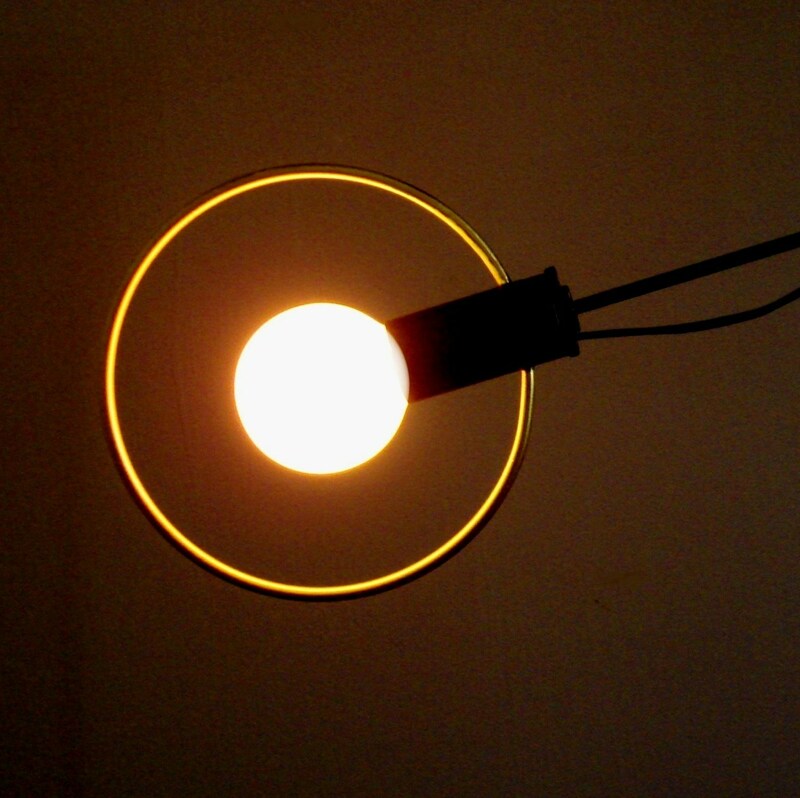 The light of the globe bulb reflects off the brass ring creating an evocative and proprietary look. Elegant and slim stainless steel rods support the components.